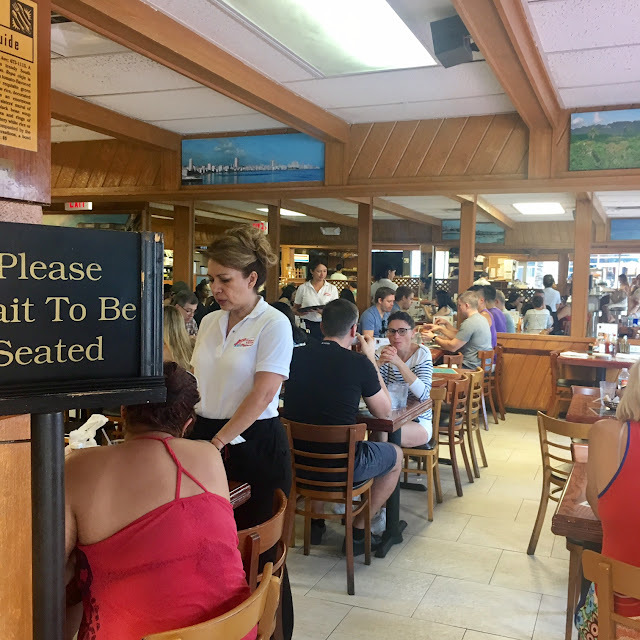 Miami is booming with so many Cuban restaurants, making it hard to choose one from amongst the many. It is a blend of Spanish, African and Latin American cuisine with a hint of Caribbean. It's unique and delicious and well, Miami is the place to find the best Cuban food around. 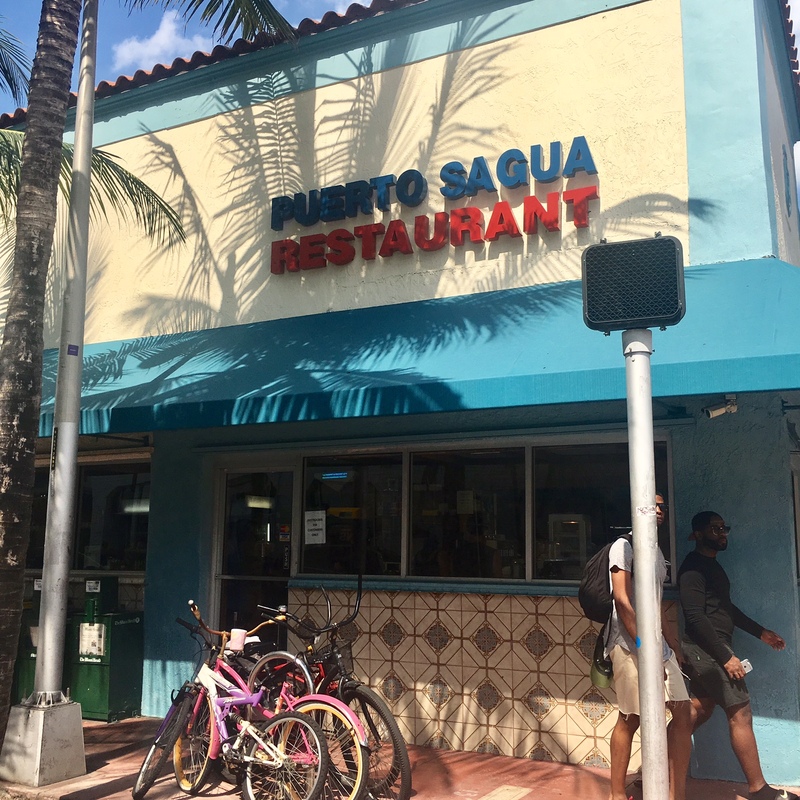 Puerto Sagua is a chill and popular spot located in South Beach. Serving traditional Cuban cuisine, the food tastes like it's comfort food made by a Cuban grandmother. It seems authentic and many locals have dined at this joint. The interior is nothing special. There is a large bar seating area upon entering and a dining room in the back where you can be escorted to be seated. It's a hole in the wall place so don't expect some fancy tablecloths here. CAFE CON LECHE ($3.95): This was one strong coffee made with Cuban coffee. The milkk was meh. I thought this was ok. If you like really strong coffee, this is a good one. SANGRIA: The sangria was delicious. It wasn't doused in alcohol and had a great fruity taste. Worth ordering. FRIED YUCCA ($5.95): These were delicately fried. The texture on the inside was soft like a potato. If you like fries, this is a good order. The sauce that came with it was tangy and fresh. ROASTED CHICKEN ($9.95): White Rice, Black Beans, Plantains. The chicken was roasted nicely and the plantains were caramelized to perfection. I just wish there was a bit of sauce to go with this dish to bring out more flavor. ROAST PORK SHOULDER ($16.75): Slow Cooked, Moro Rice and Yucca. This dish was actually pretty good. The rice was mixed with black beans to give it more flavor. The yucca was soft and roasted with some onions. The pork was tender dressed in their tangy Cuban sauce. If you like pork shoulder or braised meat, this is a good dish. MY FAVORITE DISH. COCONUT CARAMEL CUSTARD ($5.75). This was absolutely delicious. For someone who doesn't like coconut, I was able to tolerate and appreciate the creaminess and the simplicity of this dessert. The coconut was prominent (though I did push it to the side lol). The custard was creamy with the caramel flavor being fairly rich. It was a great dessert for the end of the meal. Overall, Puerto Sagua was pretty good. It was interesting that when we walked in the restaurant, they were pushing us to be seated at the bar (probably cause we were a set of two people vs four). The menu is pretty extensive and the food is pretty authentic. The place tends to get packed at all hours of the day. If you want some Cuban home cooking, this is probably the joint to check out. There are many restaurants in Wynwood and Miami but I always prefer the restaurants that have good quality food and services. 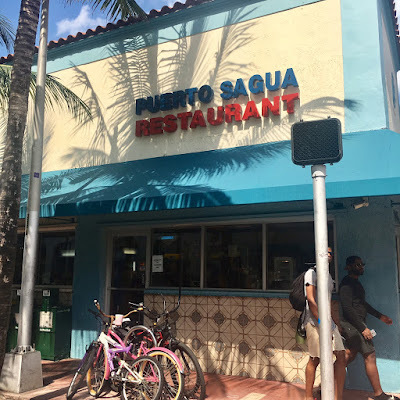 I would like to visit your puerto sagua restaurant to taste your food quality and unique dishes. Thanks! I went to this place in first time with my husband on Tuesday night after work. The inside of this venue New York was quit big and had enough seats to sit and nice bar area. We had a few things, along with drinks and it was all good!